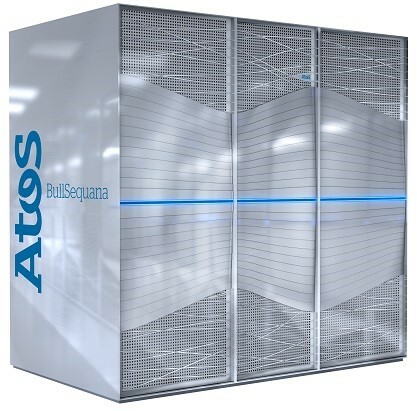 Atos, a global leader in digital transformation, announces it will provide its BullSequana X1310, Atos’ first Arm®-based supercomputer, to the CEA (French Alternative Energies and Atomic Energy Commission)’s Military Applications Divisi on (CEA/DAM). The machine will include the new Marvell® ThunderX2® 64-bit processors. CEA has been developing large, multi-physics, mission critical codes for over 40 years. This is particularly the case of CEA’s Military Applications Division (CEA/DAM) since the end of the French nuclear tests 22 years ago. The validation of those codes is an important part of the work of developers and CEA’s teams have observed that running these codes on different platforms from different architectures and using a variety of compilers and libraries from different sources helps find bugs and deviations from standards. Therefore, in order to provide the best validation environment at scale to its code developers, CEA/DAM ordered an Arm-based BullSequana cluster from Atos, using the new ThunderX2 CPU from Marvell. Developed by Atos, this system is part of the Mont-Blanc 3 project, funded by the European Commission, which aims to assess the potential of Arm-based clusters to address exascale HPC needs, develop the corresponding software ecosystem and issue recommendations for an exascale ARM-based system. The new model, which will be delivered at the end of 2018 in the Île-de-France CEA/DAM center, located at Bruyères-le-Châtel, includes a BullSequana rack with 92 BullSequana X1310 blades, three compute nodes per blade, dual Marvell ThunderX2 processors of 32 cores @ 2.2 GHz, based on the Armv8-A instruction set, with 256 GB per node and Infiniband® EDR interconnect. The new ThunderX2 processor supports up to four threads per core with 8 memory channels delivering the combination of compute and memory bandwidth required for critical scientific workloads. The ThunderX2 family is fully compliant with Armv8-A architecture specifications as well as the Arm Server Base System Architecture (SBSA) and Arm Server Base Boot Requirements (SBBR) standards. ThunderX2 further accelerates adoption for Arm servers in the most demanding HPC deployments by providing the next level of computing performance and ecosystem readiness for commercial deployments. In preparation for this installation, CEA/DAM has already received an initial set of blades to begin work on software porting, characterization and optimization. The first results show that this new cluster is a very promising architecture for memory intensive applications. “We are proud to install the first BullSequana X1310 system at the CEA. This is the culmination of our long-term commitment to the Mont-Blanc European project, which assesses the potential of using Arm-based clusters to address exascale needs. This system is the commercial version of the prototype developed and built, by Atos, as part of the Mont-Blanc project for tests and evaluation. The availability of this new model is fully in-line with our policy of technological openness and our support for the European exascale supercomputer effort,” said Sophie Proust, Head of Big Data and Security Research and Development at Atos. “Marvell is pleased to partner with CEA and Atos to accelerate the overall development and optimization of key mission critical codes on the Arm architecture with ThunderX2. CEA is respected world-wide for its leadership in scientific innovation and high performance computing expertise and this collaboration will further enhance the maturity of the HPC software application ecosystem on ThunderX2,” said Gopal Hegde, Vice President and General Manager, Server Processor Business Unit at Marvell Semiconductor, Inc.
Atos will be at SC’18, the High Performance Annual Conference that takes place in Dallas, Texas, from 11-16 November, and will exhibit the full breadth of its High Performance Computing offer on booth #2213. 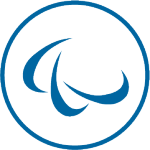 The French Alternative Energies and Atomic Energy Commission (CEA) is a public research organization working in four main areas: defense and security, low carbon energies (nuclear and renewables), technological research for industry and fundamental research. Building on its recognized expertise, the CEA takes part in implementing cooperation projects with a wide range of academic and industrial partners. With its 16,000 researchers and employees, it is a major player in European research and is expanding its international presence. In 2017, Thomson-Reuters / Clarivate identified the CEA as the most innovative public research organization in Europe. The CEA's Military Applications Division ("DAM") takes charge of defense and security missions. The DAM is responsible for the design, manufacture, through-life support and dismantling of the nuclear warheads that equip France’s sea- and airborne deterrence forces. It is also responsible for the design and manufacture of the nuclear reactors and reactor cores on the French Navy submarines and aircraft carrier. It assists the Navy with in-service follow-up and through-life support for these reactors. The DAM is in charge of procuring strategic nuclear materials required for the nation’s deterrence. The DAM also contributes to national and global security through the technical support it provides to the authorities relative to the prevention of nuclear proliferation and terrorism.